What role do surgeons play in helping to fight the opioid crisis? First, it’s vital that all surgeons assess how they are helping patients manage pain and evaluate whether they are choosing the least addictive options possible. Cosmetic surgeons in particular can modify procedures to reduce pain after surgery, such as using long acting local anesthetics, and change the way they do surgery. By eliminating the common practice of performing multiple cosmetic procedures at the same time, it helps to minimize excess pain and at the same time, helps patients tolerate some discomfort. In my practice, I want my patients to be educated about the risks of surgery and pain medications so they are truly given informed consent for any procedure. 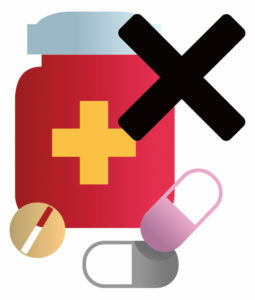 We go through suggestions with them for alternatives in managing their pain control following surgery. Using ice, maintaining hydration, avoiding sleep deprivation and by following an activity level prescribed by your surgeon are important. Patients who have struggled with chemical dependency should be especially careful and create a plan ahead of time with their doctor for weaning off pain medication after surgery. Lastly, safely dispose left over opioid medication as pain lessens, to help minimize the risk of addiction. Opioid addiction is a serious issue and both doctors and patients play a role in fighting this crisis.